I don't really feel like writing a full blown blog post anymore because the three hashtags above say it all hahaha. 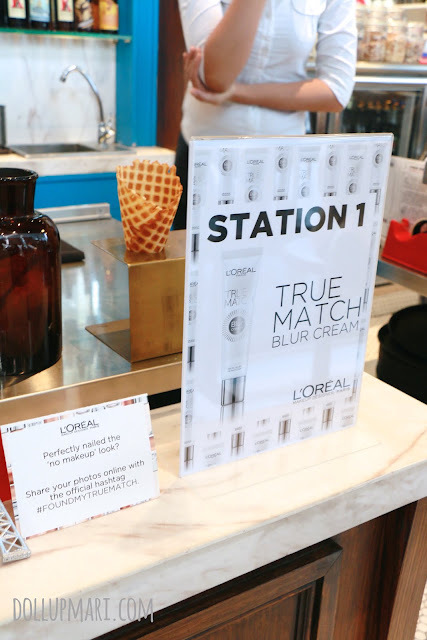 But well, no, I will still be talking in full about L'Oréal True Match's blogger's event last Thursday! We were invited by L'Oréal to Farmacy Ice Cream and Soda Fountain at BGC to let us find our true match. This is by far one of the most amusing press launches I have ever seen because usually, when there is a new product, I am sent the products at home, or I am handed a bag with the goods already. But for this event, they handed us empty press kits. 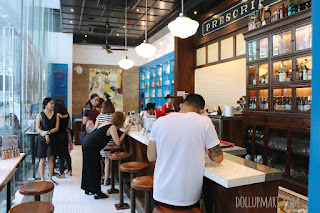 Instead of getting everything inside, they made us slowly experience and appreciate the new products in their roster by making us visit various stations set up on the premises. The first station is the primer station. 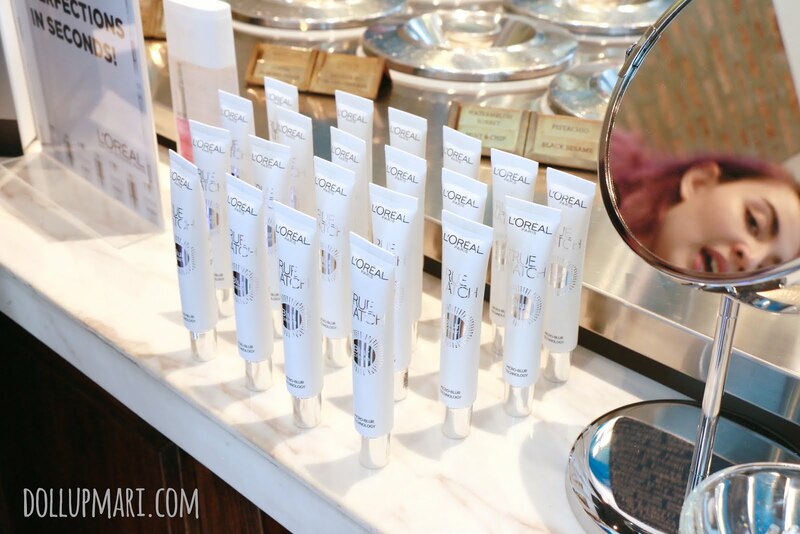 I am asked about what face primers I use, and I was briefed on L'Oréal's blur cream. The next part is the most important and exciting part of the whole journey! L'Oréal teamed up with Black Fleet to create a special experiential limousine van featuring L'Oréal's revaped True Match foundation! The moment I enter the van, things really start to feel so fancy. I mean who wouldn't feel fancy when Blake Lively and Joan Smalls are staring at you while you get your foundation done? More so when the great Verna Marin is is going to do your foundation for you. And what's the fuss with this new foundation? 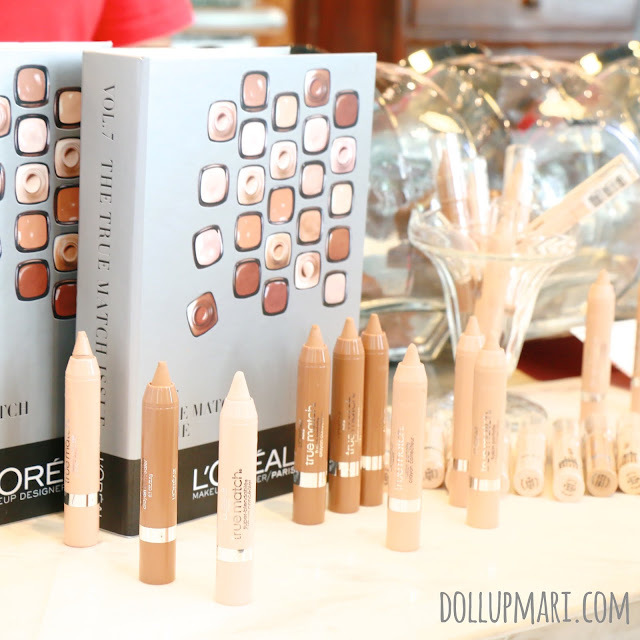 Well, it's because L'Oréal has made the effort to not only make foundation shades in every color imaginable, but to also mind the undertones. 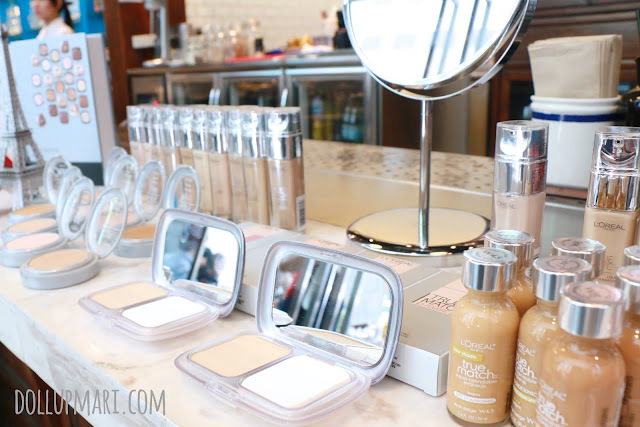 Ever wondered why a foundation seemed as light as your skin, but it felt weird on you? It's because our skintones go beyond just the shade itself. We come with our own undertones. People can come with yellowish, pinkish, and greenish undertones, and this is what complicates the equation. 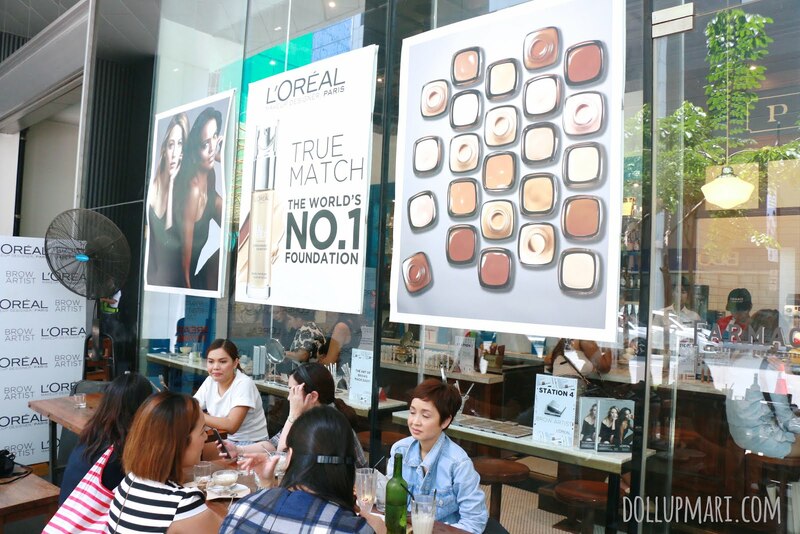 But, L'Oréal has made things easy in the Philippines with its revamped True Match foundation that comes in 15 shades in warm, cool and neutral undertones to make sure everyone finds their True Match! 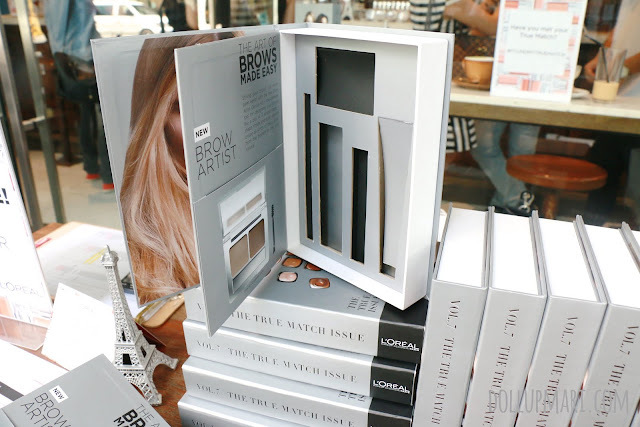 And today, to make sure that we really find our true match, L'Oréal had their chief makeup artist Verna Marin come and do the matching for us. If you notice my previous photos, and the ones coming after this, you'd notice that my makeup is lighter than my usual event makeup. This is because I didn't want to wear foundation so that it'd be easier to find my shade. Verna already has some guesses so she already tries out several shades on me. 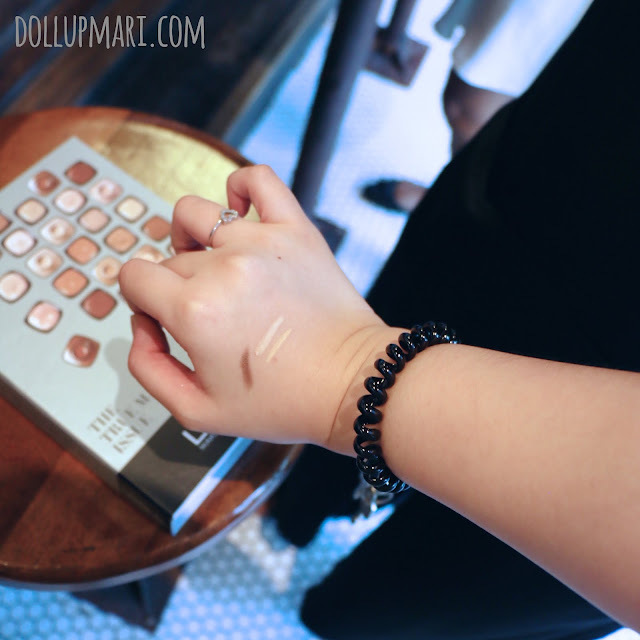 And yes, I know I've never said this before, but when trying out foundation, never swatch on your wrist because your everyone's wrists and hands have whiter and rosier skin than their faces. 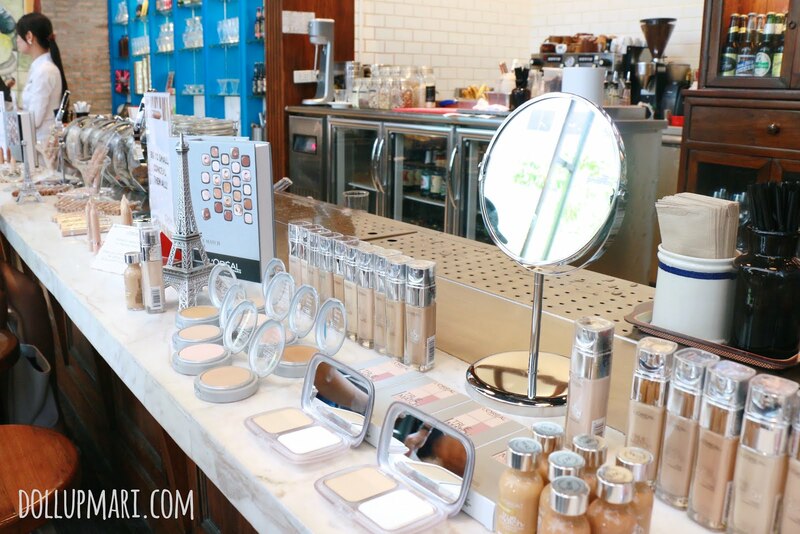 Ever bought a foundation that looked stellar on the store but horrible on your face? It's most likely because you got a shade too white and rosy for your actual skintone. The right way is to swatch it on the jawline and see if the color disappears as it's dabbed on the area. Some people even advise foundation buyers to make one long swipe from their jawline to their neck to see if the color disappears both on the face and on the neck just to get the perfect shade. She sees that G2's color fades into my skin perfectly, and she is certain that I am in the G family (G as in Golden Ivory family, or in other countries this is coded as W for warm). But she still thinks G2 is not the final shade though it disappears on my jawline because she says that my legs are so white and so is my neck. She re tries G1 on my face, and indeed, it also disappears on my skin upon blending, and comes in a more agreeable lightness. For re testing G1, she swiped it on the right side of my face instead of the left. 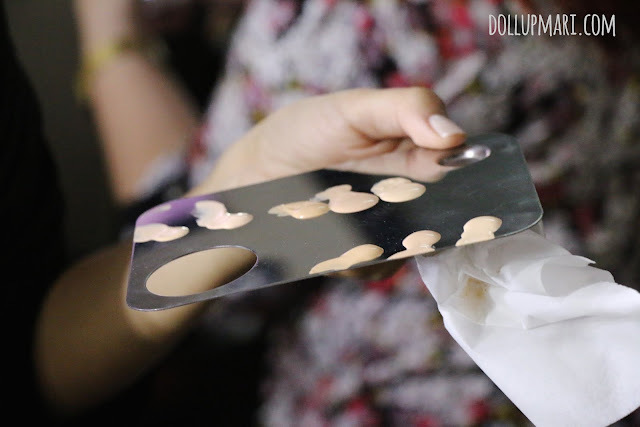 The unique thing about this foundation is that it's got micro-matching technology that perfectly matches one's skin tone and texture at the micro-level, which is why everyone can find their True Match. The whole van is just such a fancy concept. 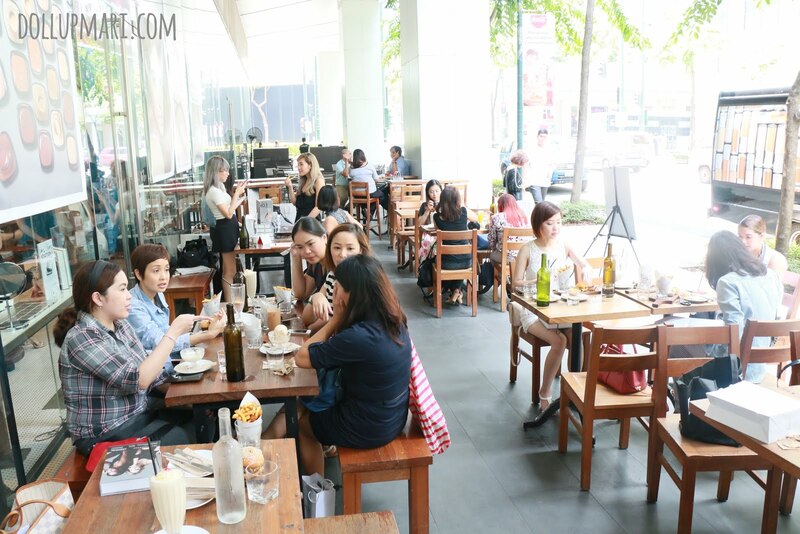 There were about 20 of us bloggers at the event, so each blogger couldn't take too long. But I'm now imagining how cool it would be if they just let us in this van, closed the doors, and gave us ambush makeovers hahahahahaha. After finding my true match, I go back inside the store to proceed to the next stations. 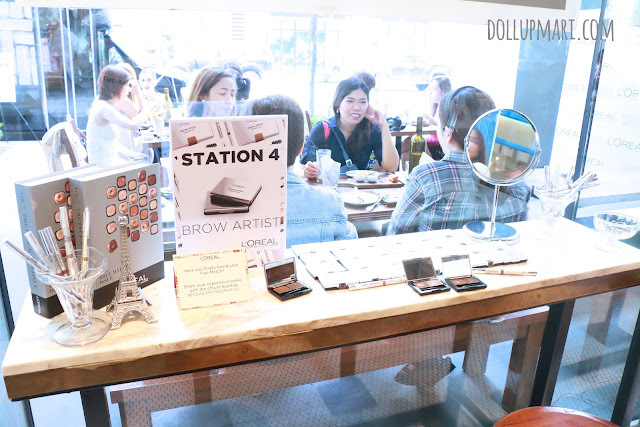 Station 3 is the concealer station and station 4 is the eyebrow station. The concealer station is amusing because the shade spectrum is so wide that you need not limit yourselves to just using this as concealer. 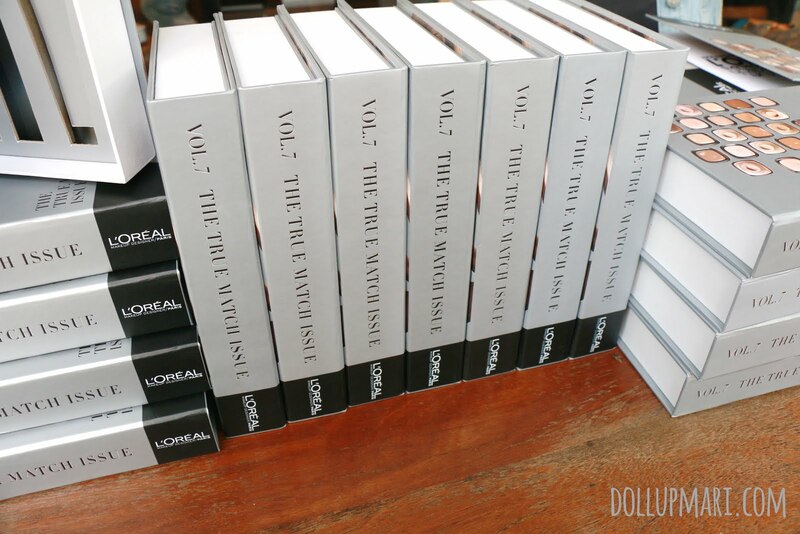 These would also be great as contour and highlight products! The expert helps me find my true match in concealer. I have terrible under eye circles which is why I ask for the pinkest shade they have. And why the pinkest? It's because when it comes to makeup, if you want to cancel out a color on the face, use a product with a complementary color over it. Dark under eye circles usually have bluish and greenish undertones which is why orangey and pinkish products work best to cancel them out. I now proceed to the last station, the eyebrow station. This station got me the most excited because I have very thin eyebrows. 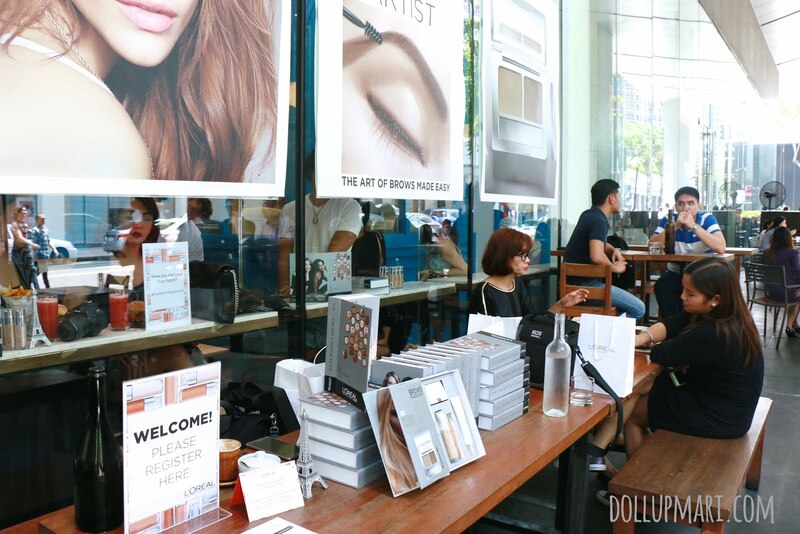 They had very big revelations on how to improve everyone's brow game, and I was of course very interested. This is their Brow Artist Genius Kit. This is a total game changer, I swear. And why? 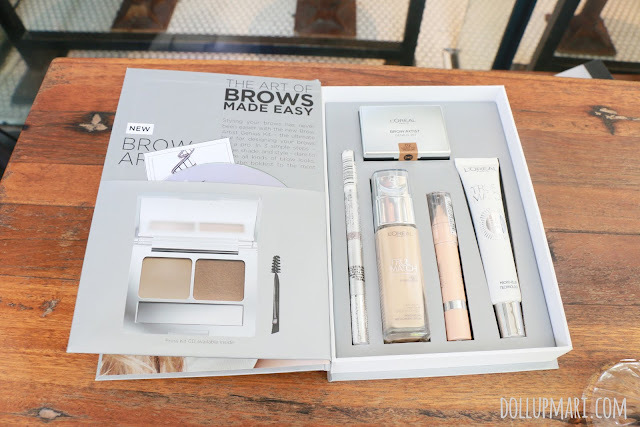 It's because it's not another brow powder set with light and dark colored eyebrow powders. Instead, it's a set that comes with colored wax (on the left) and eyebrow powder (on the right). 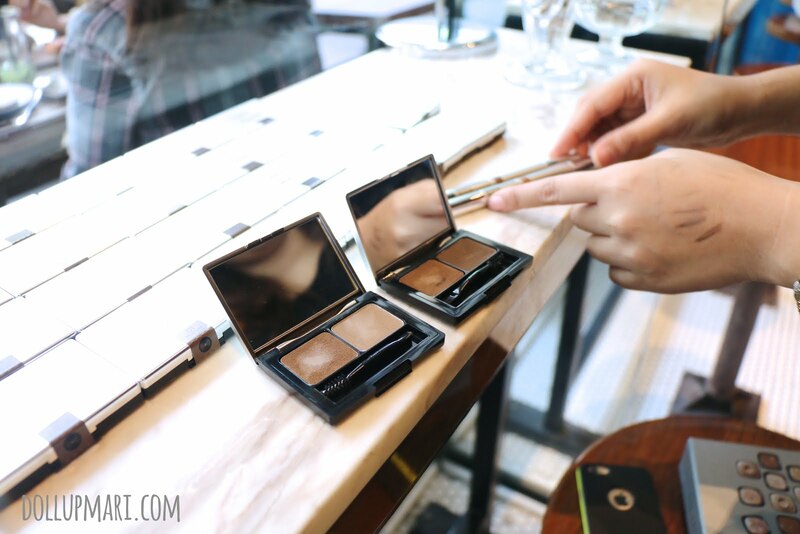 Eyebrow powder is usually not enough which is why people use wax. But why spend the double hassle of even putting powder over the wax when the wax is already colored? Imagine this as eyebrow pencil turned pan form. Whoever thought of doing this should get a raise. 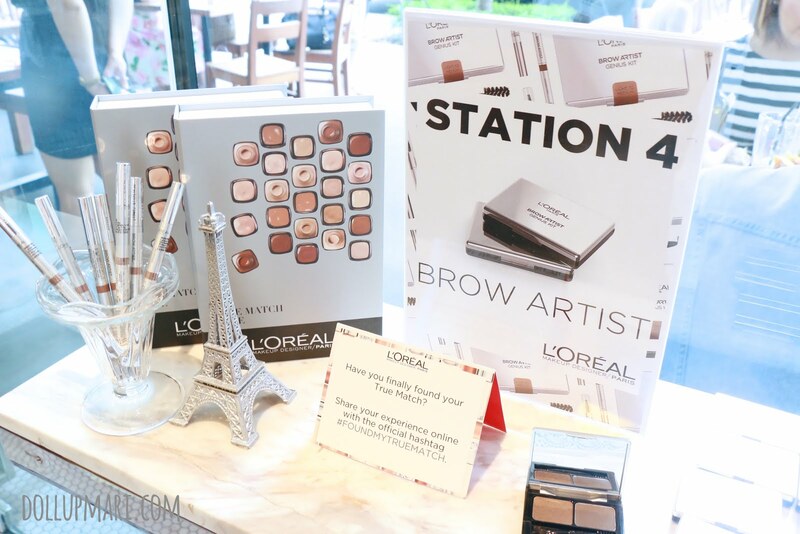 And the "last" station for the day is to play a game with the L'Oréal hunks! They got two hunks to grace the event with padlocks on their necklaces. Throughout our visits to the stations, we were given keys from a cup. There are so many keys in the cups all mixed up, so if you get to open the padlock of any of the two hunks, you get movie tickets. I used all four keys on the first hunk and got nothing. But to my surprise I was able to open the padlock of the second hunk. And I was told that since they were there, no one has opened his padlock yet! So yaaaay, I get movie tickets! And well, L'Oréal also helped us find our true match in burgers and milkshakes. 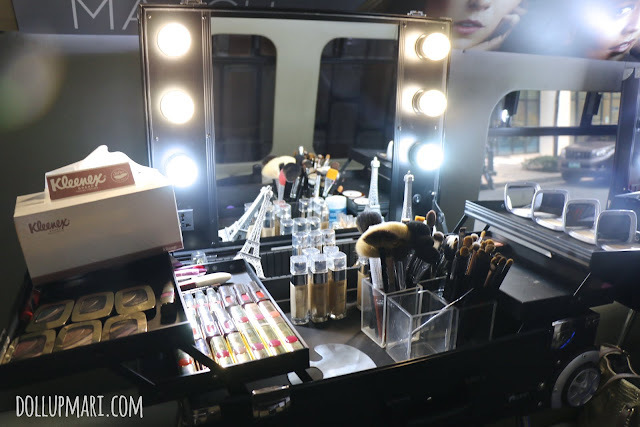 I was actually very hungry when I got there as I had my breakfast very early, so thanks L'Oréal for all the food! 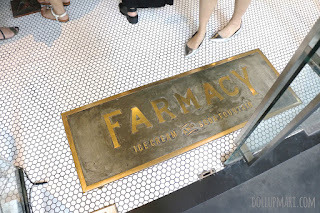 When we were all done with the stations, we were enjoying the foods that Farmacy had. And more or less it's a small world where everyone knows each other, so it was natural everyone got busy catching up on each other's lives. 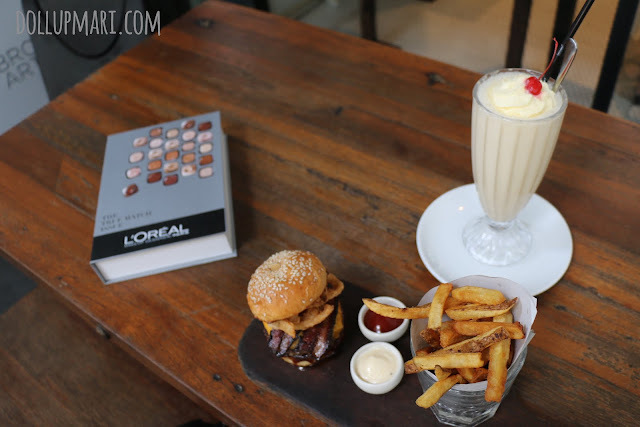 As for me I got a salted caramel milkshake and a barbeque bacon burger. Had it not been that I was rushing to class after, I would have also gotten some ice cream! 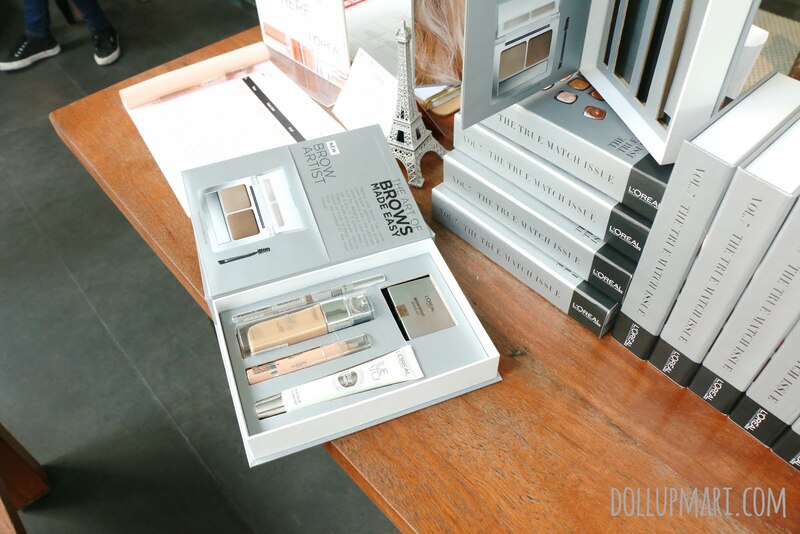 And hooray, here is my completed press kit, with all the items a true match to my skin! I loved the concept of this event so much because all the items I got were exactly in my shade preferences, or in the matching shade. And, it was also a fun adventure to visit each station and see what it had to offer. After a veeery looooong time, I finally saw Bea again! Bea is one of my schoolmates in college, and she's already graduated and blossomed into a L'Oréal girl. Yes, I really do think that there is such a thing as "L'Oréal office girls" hahaha. 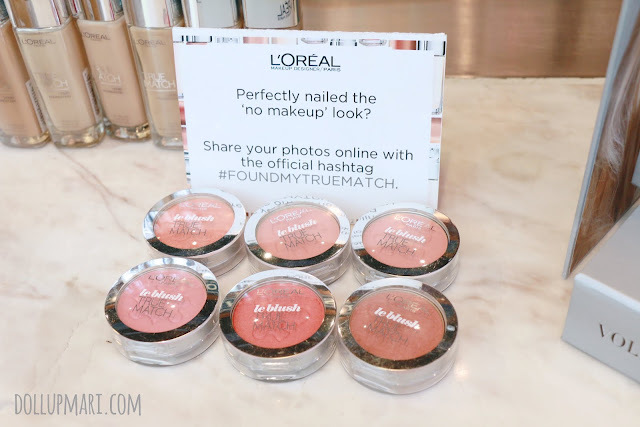 Say goodbye to ill matching makeup because L'Oréal True Match is here!! !